April 4, 2017, 10:36 a.m.
Plus: S-Town’s big numbers, Panoply prepares its followup to Revisionist History, and the state of audio fiction. By Nicholas Quah April 4, 2017, 10:36 a.m. Welcome to Hot Pod, a newsletter about podcasts. This is issue 114, published April 4, 2017. First things first. 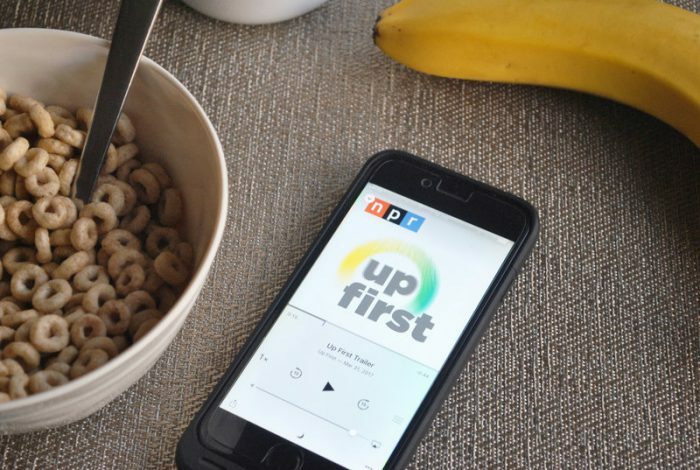 NPR announced Monday that it’s launching something called Up First, a take on the morning news brief podcast that draws from the DNA of Morning Edition, one of NPR’s two tentpole programs. Editions will be published at 6 a.m. ET on weekdays, starting Wednesday, and it will feature the same team of David Greene, Rachel Martin and Steve Inskeep on hosting duties. Nieman Lab, Poynter, and NPR’s own press blog have the assorted details on the project, including the press messaging surrounding this launch (“a way to do it that makes sense for the whole system”), target demographic breakdown (young folk, clearly), and the names involved in its development (note the headlining of Morning Edition EP Sarah Gilbert and NPR GM of pdcasting Neal Carruth). Let’s talk big picture here. The most meaningful way to read this launch is to think through what it tells us about how NPR is balancing the need innovate in order to set itself up for the future with the delicate politics and incentives strung out across the wide spectrum of local public radio stations that make up its major constituency, whose carrier fees for NPR’s major news programs Morning Edition and All Things Considered make up a sizable chunk of NPR’s revenue. (And, I suppose, whose well-being is sort of among NPR’s main reasons for being.) The Nieman Lab write-up, in particular, examines this dynamic, and it’s telling how Gilbert and Carruth talk up the groundwork that was done to attain political support from stations. “A lot of station managers we have spoken to in preparation for this launch have expressed genuine excitement about the possibility of reaching a new discrete, younger audience, and finding a way to invite them into the public radio system,” Gilbert told Nieman Lab. But it is the way Up First resembles a top-of-the-funnel instrument more than anything else that most draws my attention. Each episode is said to be made up of the “A” segment from the 5 a.m. ET newscast that’s sandwiched between a preview of the other stories in the edition along with…well, what sounds like marketing material for public radio. “We’re also going to have language in the episodes that tells listeners — many of whom will be new to public radio content — about the public radio system, the availability of all kinds of incredible programming on our stations, guiding them in finding ways to donate, if they want to donate to their local stations,” Carruth said later on in the article. In other words, it sounds like a big, fat Morning Edition podcast promo. Perhaps another way to look at it is to view Up First as an audio equivalent of the morning news email newsletter digest — though not the beefy, newsletter-first constructions like Politico Playbook or CNN’s Reliable Sources newsletter, but something closer to, say, The New York Times’ First Draft, whose existence is designed to pull readers to a core destination. I suppose all of that is perfectly fine, but it’s nevertheless disappointing given what appears to be the heating-up of a content area that’s long been discussed as fertile land for on-demand audio: the newsy podcast. Up First’s launch comes about two months after The New York Times drew first blood with the format (Marketplace’s Morning Report doesn’t count, alas) in the shape of its 10- to 20-minute weekday morning news brief The Daily. Though calling The Daily a “news brief” is somewhat imprecise, as that show functions a lot more like a straightforward news magazine that feels incredibly native to the podcast format, given its impressive dedication (and resource allocation) to structuring each edition around one or two stories that are exclusive to podcast, often providing deeper or additional reporting on the biggest stories from the day before, and executing them in a rich, intimate, non-broadcast-reminiscent style. That design gambit has yielded a unique and compelling package, and though it has certainly made the occasional choice falling from its design commitments that have led to criticism (I’m still mulling over the interview in question from last week, and find myself increasingly perturbed), it is absolutely a creature of its own and is cultivated as such. It’s bad form to sling a full judgment on Up First without actually experiencing it firsthand, so I’ll give it a couple of weeks before piping up conclusively. And I will also say that I’m fully cognizant that this is a podcast execution that’s probably unique to Morning Edition within the context of NPR, given its political complexity within the broader public radio ecosystem. I will also say that NPR’s other podcasting efforts have proven to be more encouraging, between the stuff they’ve been doing with NPR Politics and Embedded as well as whatever the heck they’re cooking up with Sam Sanders. But I’m just inclined to pour one out for a genuine go at building out a full-blown NPR News podcast, which is something I now suspect might never actually happen. Ah well, back to Barbaro it is. According to multiple people familiar with the matter, Apple was excited about promoting Missing Richard Simmon until it heard about the windowing strategy. They subsequently abandoned all the marketing plans for the show, those people said. and if we still buy the premise that Apple continues to drive the majority of podcast listening, and if we also continue to buy that the iTunes front page is still a meaningful driver of podcast discovery, then we’re left with what is the clearest example of Apple, previously described as a dominant but hands-off of the podcast ecosystem, actively placing its thumb on the scale when it comes to dictating the shape of the space. That Missing Richard Simmons ended up being a success regardless is interesting, but nonetheless irrelevant; this is a situation that feasibly validates the fears of those who are concerned about the unchecked conduct of Apple as a governing platform. One imagines this also adds fuel to the fire among the pockets of the community that feel that, at the rate and substance that the podcast industry is growing, the way things are with Apple can’t possibly be sustainable, with its erratic charts system, its user experience, its opacity. But then again, that’s kind of the story of all modern digital publishing. I reached out to Apple for comment yesterday, but have not heard back. One more on windowing… looks like The Ringer will distribute its MLB podcast exclusively on TuneIn Radio for the month of April, a development that might worry some of the more open internet-oriented folks in the industry. Early S-Town numbers. It’s a whopper: the Serial spinoff reportedly enjoyed 10 million downloads in four days since launch day, according to Variety. That report came from before the weekend, so it’s possible there’s a bump we can’t account for, though it has traditionally been unclear whether listening happens very much on the weekends. But given S-Town’s unique full-season release structure — which encourages binges — and buzzy profile, it’s feasible to think that the show might’ve enjoyed anomalous weekend listening behavior. — The 10 million number refers to overall downloads, not unique downloads as a proxy of the actual size of the audience base. Back-of-the-napkin math (10 divided by 7 to spell it out, but I mean come on) places that somewhere north of 1 million unique listeners at the time of publication. — From the piece: “In another data point highlighting the popularity of S-Town, the feed for the podcast series already has 1.45 million subscribers since Serial Productions released the trailer a little over two weeks ago. By comparison, the Serial feed has 2.4 million, and This American Life has 2 million.” I’m told that Serial Productions uses Feedburner to check these numbers, and that the number was up to 1.48 million by Monday morning. Feed subscription numbers aren’t exactly a metric that’s in vogue among the industry at this point in time, but that’s besides the point: compared against its own portfolio, S-Town has performed very well within a very short period of time. — The station announced in an internal email last Wednesday that it will not be renewing its relationship with The Sporkful, the James Beard-award nominated food podcast hosted by Dan Pashman that’s been in the WNYC portfolio since 2013. I’m told that the decision to part ways actually took place several months ago, with Pashman given ample runway to secure a new home. A new network has indeed moved to pick up The Sporkful, though its identity remains uncertain to me. Details of the arrangement will announced sometime over the next two weeks, ahead of the podcast’s relaunch on April 17. For anybody keeping a record (and I know there’s a Greek chorus of you): the last show to leave WNYC was Hillary Frank’s The Longest Shortest Time, which ultimately landed at Earwolf. I’m still wrapping my head around this, though it does strike me as genuinely surprising — and more than a little strange — that a public radio station, especially one as big and prominent as WNYC, is moving to develop what looks like an in-house creative advertising agency. When contacted for comment, a spokesperson simply told me: “For several years now, clients and agencies have been asking us about creating custom content. And like every media organization, we’re trying to meet the needs of our clients who are eager to work with us.” Hm. (1) I’m following the WUTC story, in which the Chattanooga-based NPR affiliate station fired reporter Jacqui Helbert after local lawmakers complained about Helbert’s reporting on a state transgender bathroom bill. There’s a thick line you could draw between this incident and the Marketplace-Lewis Wallace story from February, and also between this story and the West Virginia Public Broadcasting state defunding crisis from last month, which was only superficially resolved after Governor Jim Justice pulled back on defunding and pushed toward a deal that would see the state’s public broadcasting infrastructure integrated into West Virginia University. The University of Tennessee at Chattanooga owns and operates WUTC, and Helbert’s dismissal is said to have been a decision made by university officials, not newsrooms editors, providing one notable data point for a question I wondered aloud when writing up the West Virginia Public Broadcasting story: how does university ownership affect a public broadcasting system? Anyway, the WUTC story is far from over. Since Helbert’s dismissal, NPR has condemned the decision, and the reporter has filed a lawsuit against the university. (2) Missed this last week, but Ben Calhoun, the VP of content and programming at WBEZ, is leaving the station, according to Robert Feder (the all-powerful source of Chicago media news). Calhoun is expected to return to This American Life, where he had served as a producer between 2010 and 2014. It is unclear who is up to take over the position. Alice Isn’t Dead returns for its second season today, as Night Vale Presents pushes forward in its intriguing attempt to build out a predominantly fiction-oriented podcast network (it has one nonfiction project, a documentary collaboration with indie band The Mountain Goats, in the pipeline) off the long-running momentum cultivated with Welcome to Night Vale. I’m told that the first season’s ten episodes collectively garnered over five million downloads, as of last week. That season ran from March to July 2016. I’ll be keeping an eye on this. Panoply readies its follow-up to Revisionist History. The project is called The Grift, a podcast on the world of con artists hosted by psychologist and author Maria Konnikova. Konnikova is a regular on Slate’s The Gist, and I suppose you could call The Grift a podcast adaptation of the work Konnikova has built out for her book The Confidence Game, which was published early last year. 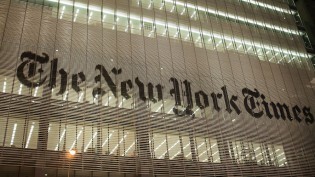 The Grift appears to represent Panoply’s next step in a strategy that originated with Revisionist History, where the network partners with a known author — in that case Malcolm Gladwell, whose value in the marketplace has long been proven — to create a highly produced, non-linear podcast that more or less resembles the composition of your basic nonfiction New York Times bestseller. This also seems to be the programming zone within which Panoply feels most comfortable developing its big swing projects. Coming up with benchmark numbers to evaluate The Grift is a little tricky. When asked about Revisionist History’s numbers, a Panoply spokesperson told me the company doesn’t share download or subscriber numbers for any of its shows at this time. I was told the same thing when I reached out a few weeks ago for numbers on Life After, the network’s most recent fiction project. The best I can come up with is a number pulled from a rosy Bloomberg profile of Panoply published ahead of its launch last summer, where chief revenue officer Matt Turck was quoted saying that Revisionist History “could draw over 500,000 downloads per episode” — citing Apple marketing support and Gladwell’s #personalbrand as factors in his prediction — which the article also notes would match the best performance of The Message. The Grift dropped its first episode today. Audio fiction over the past year. Last Tuesday saw the second annual Sarah Lawrence College International Audio Fiction Awards. It’s an increasingly active time in the fiction podcast space: the higher-profile projects, growing interest in adaptation deals, the rising ambition both in terms of quality and quantity. I checked in with Ann Heppermann, the awards’ founder, to get her view on what has changed in the genre over the past year or so. 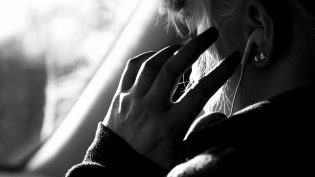 From where you sit, how has audio fiction changed over the past year? Over the past year, it feels as though there have been seismic changes as well as a continuation of certain trends. This year, The Sarah Awards saw many more submissions from audio networks — and nearly, if not all, of the major podcasting networks entered this year from Panoply to Gimlet to Wondery to Radiotopia to many others. To me, that’s a good sign. It says that those who are in the business of making money from audio believe that audio fiction is something that’s both a worthwhile creative endeavor and a profitable one. It also says to me that there is a possible future for students, like mine, who are learning and want to create fiction. Not that long ago, I would encourage young producers who wanted to create audio fiction that if they wanted to make any money at it they should look into creating works for audiences outside the United States, primarily for the BBC and Australian markets. Now, gasp, I think that there might actually be some jobs they could apply for in the near future. It’s awesome. Creatively, I feel like we are seeing more series as well as more high-budget productions. Thrillers and science fiction seem to continue to dominate the audio fiction world — or at least, in the submissions we received from this year and last — but for this year I would say that the Sarah Awards judges chose pieces representing the vast array of work that is being created. Yes, there were thrillers and science fiction pieces amongst the winners but there were also musicals, political fiction, and whatever unique category needs to be made up for Andrea Silenzi and Randy. Maybe next year an audio sitcom or an audio telenovela or some S-Town Faulkner-esque piece will win a Sarah Award. In my mind, it feels like the possibilities are endless. What are the challenges that are still holding audio fiction back, in your opinion? Even though I’m extremely excited about how large networks are getting more involved and that Hollywood stars signing up for audio fiction projects, I worry that it could become more difficult for creative people with lower budgets to have their works made and find audiences. I also worry that those who are putting a lot of money in these projects will be less willing to take creative risks because they, rightfully so, have to worry about the return on their investments. So the thing that excites me, increased professionalization, also scares me a little bit. Another challenge is that there is a lot of fantastic audio fiction happening behind paywalls that I don’t think people are finding. Audio fiction can be incredibly expensive and so paywalls do make sense, but it’s just that currently most people don’t want to pay for it. I’m sure that will change, and I know that people are working on ways to mix up their fiction offerings so that their programming consists of free as well as paywall content, but I just hope they can figure it out soon because there’s some awesome stuff behind the paywall that I personally wish had larger audiences. Oh, and diversity. The field, as with all things podcasting, needs a lot more of it—from creators to writers to producers to actors to works in languages other an English. Diversity, diversity, diversity. You can read about the winners of this year’s Sarah Awards, and more about audio fiction more generally, on the website. POSTED April 4, 2017, 10:36 a.m.
Quah, Nicholas. "NPR’s upcoming daily news podcast sounds like a Morning Edition promo, which would be too bad." Nieman Journalism Lab. Nieman Foundation for Journalism at Harvard, 4 Apr. 2017. Web. 22 Apr. 2019. Quah, Nicholas. "NPR’s upcoming daily news podcast sounds like a Morning Edition promo, which would be too bad." Nieman Journalism Lab. Last modified April 4, 2017. Accessed April 22, 2019. https://www.niemanlab.org/2017/04/nprs-upcoming-daily-news-podcast-sounds-like-a-morning-edition-promo-which-would-be-too-bad/.